All the latest news about True North Square. 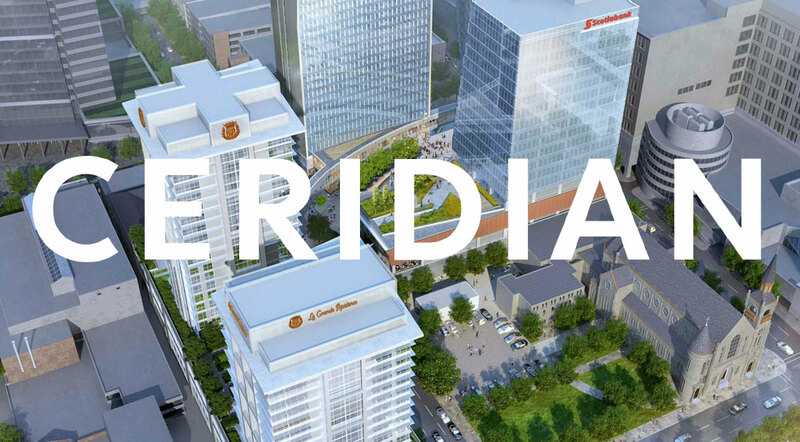 True North Real Estate Development Limited is pleased to announce that leading technology company, Ceridian, which provides human resources, payroll, talent management, benefits and workforce management in the cloud, has been confirmed as the newest tenant of 242 Hargrave located at True North Square. Ceridian’s new Winnipeg office will occupy one full floor in the building, the first of four new towers located in the heart of downtown. Ceridian’s office space at True North Square encompasses over 28,000 square feet located on the third floor in the building’s podium. This expansive floor plan allows for truly cutting edge space planning that is both customizable and flexible to the tenant’s needs. More than 200 Ceridian employees will work in this LEED Gold Class A space. With leading edge technology, floor to ceiling glass curtainwall, and over 12’ ceiling heights, Ceridian’s space in 242 Hargrave establishes a new benchmark in office building performance. True North Square is a transformative mixed-use development that will feature over one million square feet of office, hotel, residential, retail, parking and public plaza space in four towers, creating a new dynamic epicentre for Winnipeg’s downtown. The office spaces at True North Square meet the highest standards of workplace flexibility, tenant health and comfort, and sustainability. Access to skywalk connections, bike paths, and the rapid transit corridor bring convenience and environmentally sound options to employees’ commutes. Amenities like underground parking, bike storage, fitness and conference centres, a variety of retail offerings, and being only steps away from the city’s biggest sporting and entertainment events bring further convenience and lifestyle advantages to those who work and live at True North Square. True North Real Estate Development partners with business leaders and innovative firms to realize exceptional and integrated places for people to work and live. To learn more about True North Square, please visit truenorthsquare.com. For more information on Ceridian, please visit ceridian.com.